With IdSurvey setting the anonymous distribution of your surveys is very easy. The anonymous distribution is used when you don’t need to have a correspondence between the interview and the respondent. With this methodology all the users will use the same generic link to access the survey. The link can be also published in websites, blogs or social network pages, for example. From the CAWI settings open the “Contacts Options” window, enable “Anonymous distribution” and save the editing. 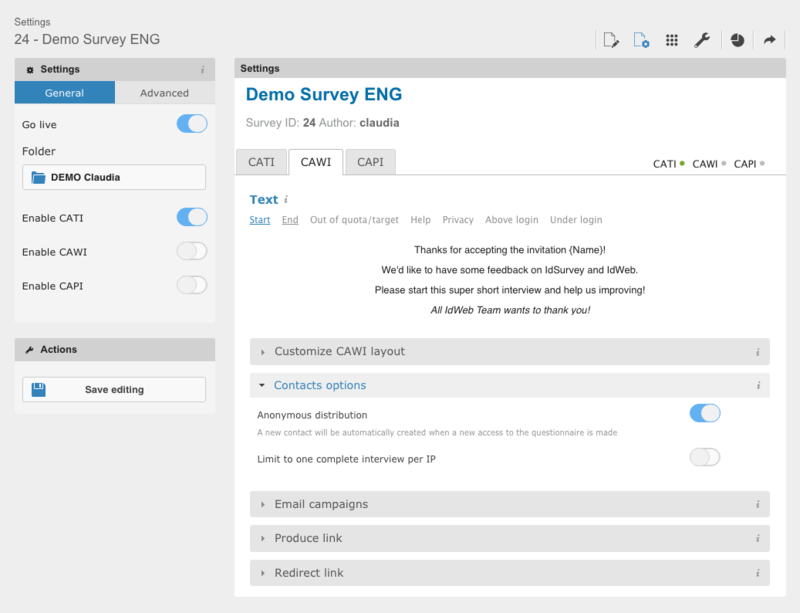 IdSurvey will automatically generate a new contact for each interview started.